1. Clean the center area below the screen of the computer or monitor frame with the cleaning wipe. 2. Remove the protection from the adhesive on the mounting plate. 3. Attach the mounting plate to your computer or monitor. 4. Press and hold mounting plate for 60 seconds to allow the adhesive to fasten tightly. 5. Fasten the Tobii EyeX controller to the mounting plate. 6. Connect the USB cable to the Tobii Eyex Controller and to the USB 3.0 or SS USB port on your computer. 7. Go to https://tobiigaming.com/getstarted/ and download the Tobii Eye Tracking Core software. 8. Run the Tobii installer. 9. Read and Accept the end User License Agreement. 11. Click Finish when the Eye Tracking software has been installed. 12. If there are Firmware updates available, the Firmware update will automatically be downloaded and installed. Congratulations! Your Tobii EyeX is now installed and ready to be used. 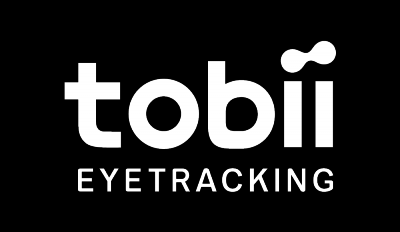 Tobii regularly release updated versions of the Tobii Eye Tracking software. If the computer is connected to the Internet, the software will automatically check for updates. If there is a new Firmware update, the new Firmware will be downloaded together with the Tobii Eye Tracking software. The Firmware will automatically be updated when the eye tracker is connected to the computer. Make sure the surface of your screen is clean. Glue the magnetic adhesive mounting to your screen, make sure it’s straight and not tilted. Secure the Tobii EyeX Controller to the adhesive strip. Connect it to a USB 3.0 port. Always use a clean cloth to wipe its surface. Prevent it from getting scratched. Do not bend the USB cable.